Hawaii is a holiday maker’s paradise. It seems that forever it has been the place to holiday. 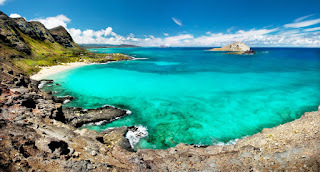 Whether you are just “jetting over” from California or winging it all the way from Australia, you will be knocked out by the beauty of the landscape and friendliness of the Hawaiian people. There will be lots to do and there are many options when it comes to where to stay. The choice is nearly limitless, with thousands of options available. Is it a home, villa, condo or hotel that will be the place you come home to after a relaxing day on the sands of that fabulous beach? Or maybe Hawaii is just a business trip disguised as a shopping adventure where stores really do know the meaning of service.